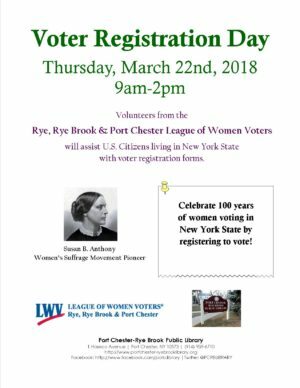 Volunteers from the Rye, Rye Brook & Port Chester League of Women Voters will assist U.S. citizens living in New York State with voter registration forms. 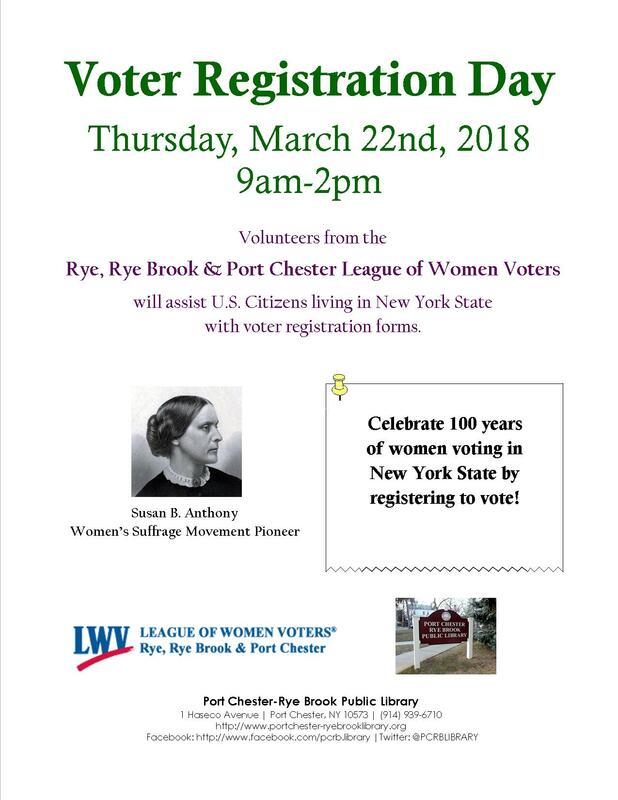 “My goal has been to be a productive representative, successfully lowering costs for Westchester taxpayers and advocating effectively for issues facing Sound Shore residents. I will use all my energy to bring continued progress in 2017."